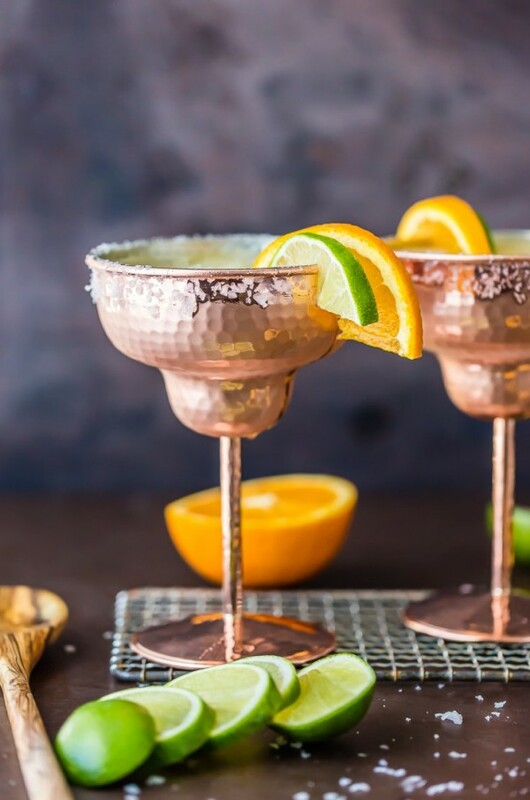 Cheers with a WHITE WINE MARGARITA! 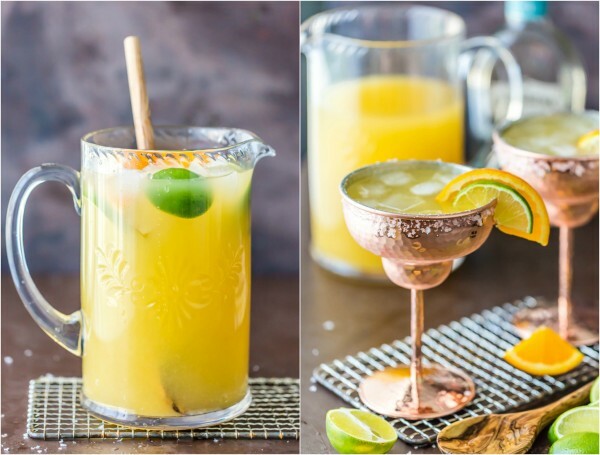 This easy recipe for a crowd makes a fast pitcher of the best ever margaritas, simple and refreshing! If you guys couldn’t tell, I have a slight love affair with Margaritas. 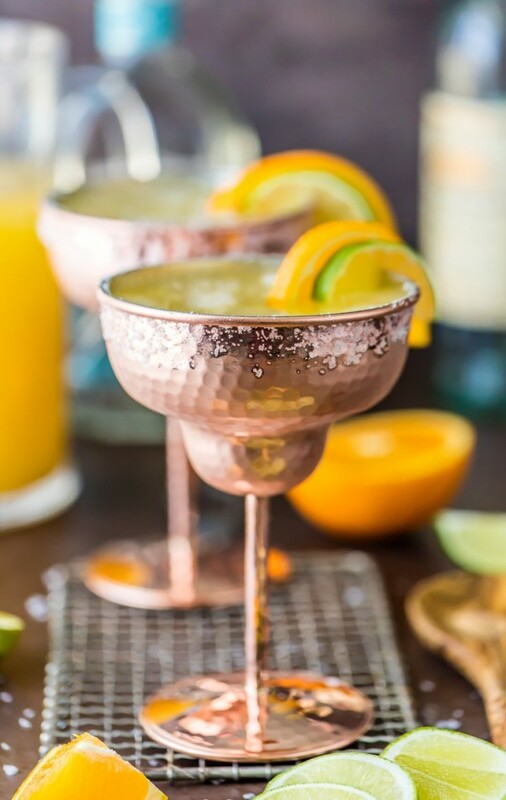 So far in life, I haven’t met a margarita I didn’t love (I have over 10 Margarita recipes on the site!). 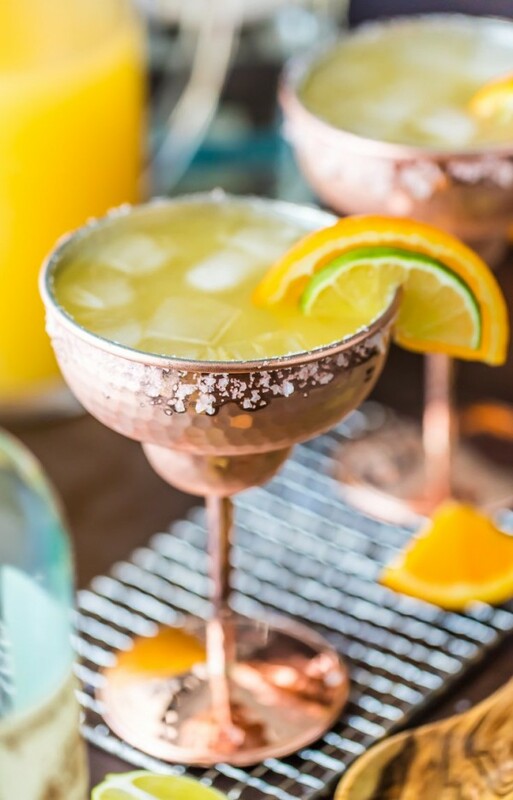 There’s just something refreshing and fabulous about a cold Marg (served with QUESO of course!). I also am a lover of wine. Nothing better at the end of a long day than a few sips of good wine. 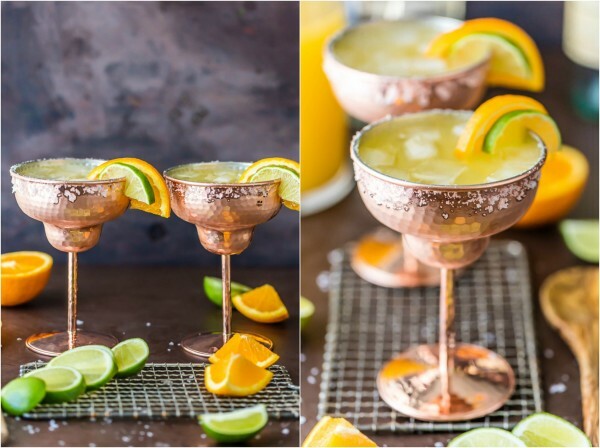 SO…why don’t we mix both loves and create the ultimate cocktail, WHITE WINE MARGARITAS! The best of the best right here, folks. Refreshing, easy, and right up my alley. I’m OBSESSED. I made these as a special celebratory drink for my impromptu #STLSleepover with Erin and Christina! Erin is in town to visit Christina, and I pretty much twisted their arms into coming to stay with me one night. TO DRINK ALL THE MARGARITAS. Pat was out of town for work, so it was just perfect. It’s like when your parents leave and you have a party, although I truly never did that! I guess I waiting until 33 to have my first rebellion! LOL. We headed off to my favorite Mexican restaurant and then brought the party back home with these White Wine Margaritas. Girls Night bliss! I’m loving this mashup of two of my favorite things. It’s like they were just always meant to be. Like hotdogs and baseball, Scout and Pat, and wings and beer. 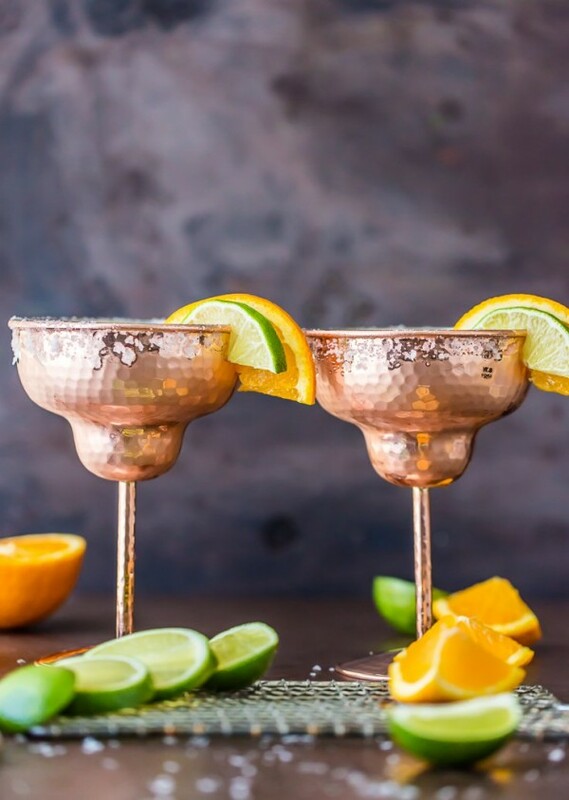 Margaritas and White Wine, it’s all the rage! 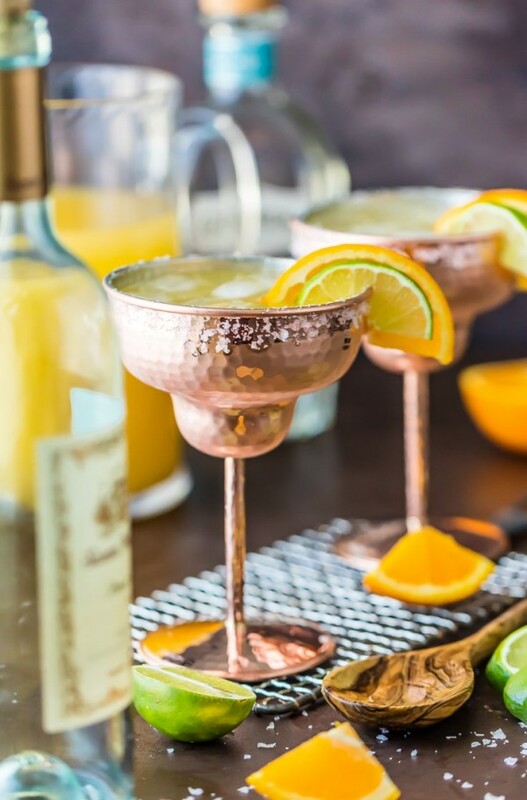 White Wine Margaritas FOREVER.